World Nomad is looking for one aspiring travel photographer to go on an all-expenses-paid assignment to Morocco to capture the colorful nation’s people, culture and landscapes under the mentorship of world-renowned travel photographer, Richard I’Anson. Receive round-trip airfare from your closest international airport to Morocco, courtesy of Airtreks. 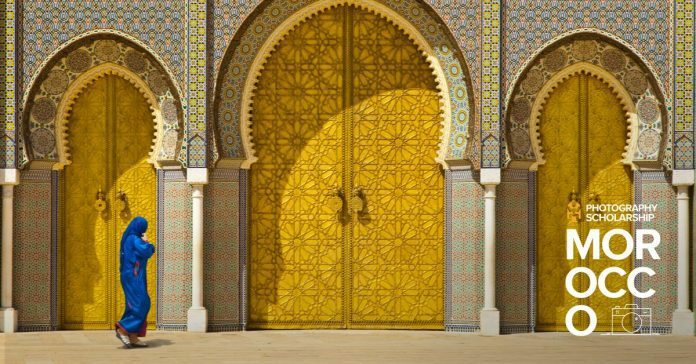 Journey through Morocco on a custom tour designed by World Expeditions. Receive a copy of Lonely Planet’s Guide to Travel Photography by Richard I’Anson. Travel with innovative, high-quality outdoor packs from Osprey. Comme toujours, assurance voyage pour le voyage fourni par World Nomads. Your brief is to tell a story from a place that you have visited through images (with accompanying captions to help contextualize each shot). A ‘place’ can literally be anywhere, from your backyard to somewhere you visited on your travels. Tell us in 1,500 characters or less, what winning this photography scholarship would mean to you and why you are the best person for the assignment. In your essay tell us about yourself, your passion for photography, what motivates you and what your photography aspirations are. Paint a picture for us of the budding photographer behind the story. Article précédentBritish Council’s Developing Inclusive and Creative Economies (DICES) Fund 2018 Collaboration Grants for creative XCHARX social enterprises.